Since my accident and subsequent shoulder injury a little over a month ago, I have been forced to “take it easy”. Doctors tell me I have something called bursitis which is basically inflammation of a joint in my shoulder at the outer end of my collar bone. I was feeling really good coming into the first of November so I decided I would start shooting my 12 ga Benelli during the opening week of duck season. After a couple days of hard hunting, I realized I should have waited a little longer so I let it rest for another week and it starting to feel better again. I decided to start taking my son’s Rossi single shot .410 shotgun. 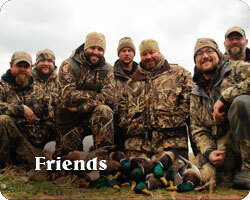 I found some steel shot ($$$) and off I went with the crew this week killing ducks. Let me tell you something, when you know you only have one shot, your bad shooting habits change quickly. This has been a very humbling experience for me but I think it will be well worth it. I’ve now went through a couple boxes of .410 shells and I’m off to buy more tonight…. 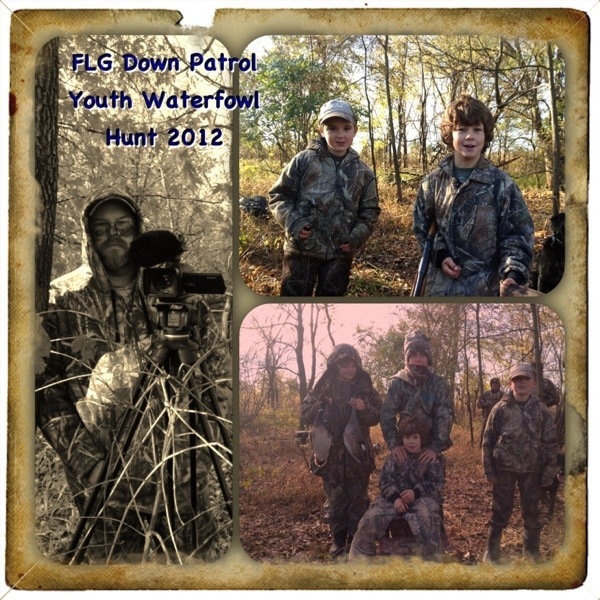 The FLG Down Patrol crew is dedicated to getting youth into the outdoors. 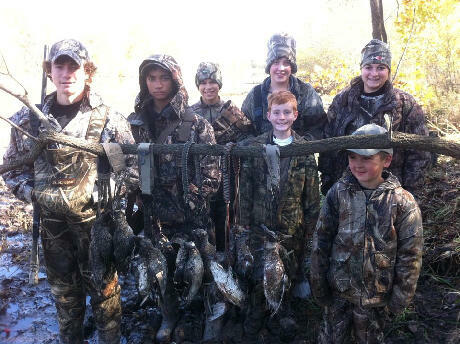 This year’s Oklahoma Youth Waterfowl hunt was just one example of this. This past week proved to be tough for scouting. A cold front moved in later this week and we thought birds would be plentiful. 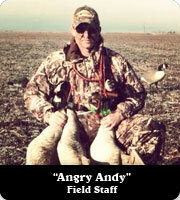 It actually got cold enough to push the fair weathered teal out of the area but it did bring in a few big ducks. 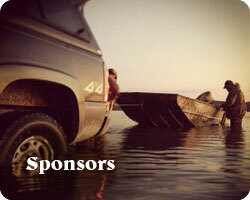 The major hurdle with picking a spot for a youth hunt is it must be accessible by these kids. 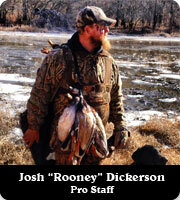 Most do not have waders and we do not take them in a boat so it is a walk in hunt only. We chose one of our favorite sloughs on public land and made the best out of it. After getting setup, I presented the kids with a short safety speech and we were into shooting time. 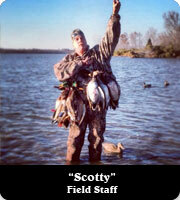 Right away we had a flock of 20 mallards working our decoys. One nice drake was quickly taken out of this flock and the kids were on the board. Next they took a green wing teal out of a flock of ten and then a lone drake gadwall decoyed right in and they made a nice crossing shot on it. 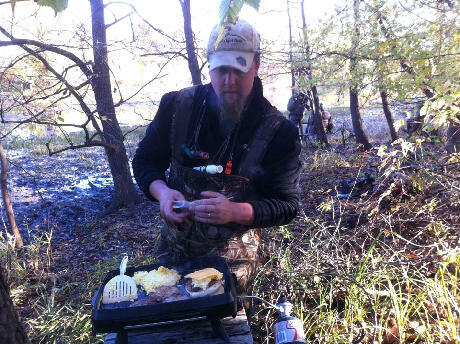 After the bird action slowed down, we cooked them up a field breakfast, chatted a little and packed it in. What an amazing feeling it is to get those kids out away from home and into the outdoors. The smiles…the wide eyes watching those birds. One of the older kids made the decision later in the day that he wanted to hunt more with us throughout the year. Our work paid off! A big thanks to the parents for letting us have their kids for the morning. 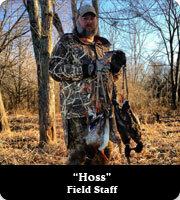 Thanks to Hoss for running camera. 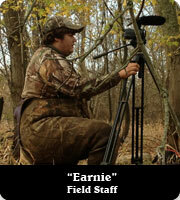 Also thanks to Earnie and Lincoln for helping keep the kids safe and doing most of the calling. 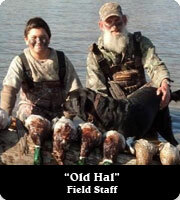 This year’s youth waterfowl hunt was a complete success. Hey y’all! 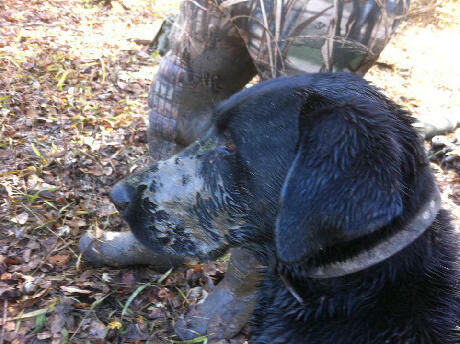 Rooney here reporting on one of the best early teal seasons we’ve had yet here in Oklahoma. I personally was only able to hunt 7 times in Sept due to a trip to Michigan for a wedding but those 7 hunts were spectacular. Almost every hunt our straps were full and those limits came quick and early. 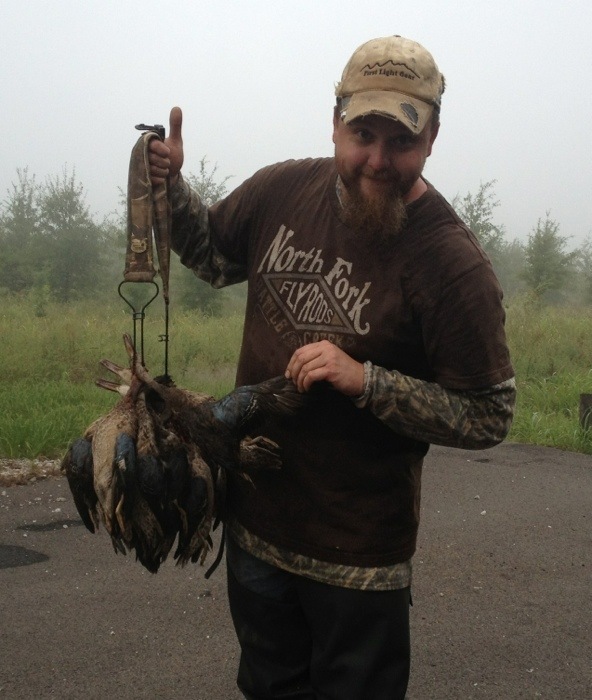 As some of you know, teal are my favorite duck to hunt and they make great table fare. They decoy well and respond to calls. Most importantly, they taste good on the grill. 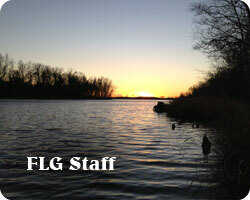 The boys and I here at the FLG Down Patrol ended up harvesting 85 birds in September. We’re just getting warmed up! Well it’s a new year and another Whitetail season has come and gone for us FLG boys. As always we had an amazing time this fall in the woods, despite the adverse conditions we faced this season. We learned a lot, had some incredible encounters, some outstanding successes and some pretty hilarious failures. We hit it hard this season and I didn’t get to update y’all on the blog as much as I would have liked to. We have a lot of great stories to share with you from our Whitetail season trails and tribulations and we’ll be sharing them with you over the next few weeks. In the meantime I’m down in beautiful southeast Oklahoma with Rooney from the FLG Down Patrol chasing green heads for the week. I drove all night to get here and have been having a blast so far. We’ll be running and gunning all week killing birds, hogs and coyotes and having just an all around good time. Happy new year everyone, this year is going to be amazing so stay tuned. It was foggy this morning, very foggy! We knew there would be hot competition for this little slough on public land so we arrived early. Legal shooting time was a little after 7am on this cool morning and we rolled up to the parking area around 5:30am. It was Kenzie (Hoss’ 14 year old daughter), my boy Aidan and myself. 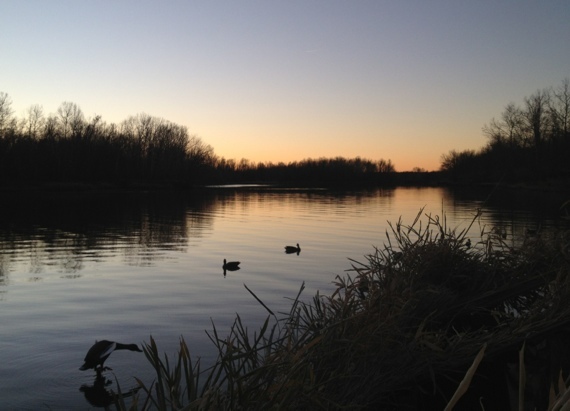 We were there early to get to our favorite spot, setup “camp” and disperse a few decoys. The Mallard Mafia HitKids, 5 total, would not be too far behind us with their mentor, Steve. We struggled getting going this morning as it was one of our first hunts of the season and all the equipment was not quite “in place”. My headlamp would not stay on so I struggled with a handheld flashlight stuck between my teeth as we gathered all the gear from the back of my truck. Most everything we had was too heavy for my little guy Aidan to carry so it was just Kenzie and I carrying gear in this morning. We took one decoy bag loaded with a dozen G&H Teal Decoys , two Mallard Super Feeders , three stools and, of course, my thermos of coffee. I slung this bag over both shoulders like a backpack, a cooler full of breakfast food and drinks for all 7 kids over my right shoulder and my trusty bag full of video camera gear over my left shoulder. Kenzie handled her gun and her blind bag full of shells. Off we went on the half mile trek to our favorite hole. This walk proved to be tricky with all the low lying fog. It begins through a heavily overgrown field full of small saplings, tall Johnson grass and lots of sand burrs to frustrate the little guy. I was guessing our location as I did not have any way of using my normal landmarks to guide me into the narrow tree line that breaks the slough from the field. Somehow my trusty lab Cody led us right where we needed to be. 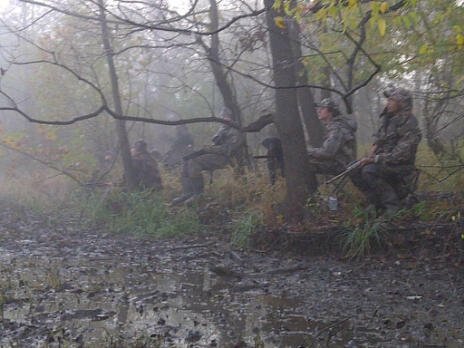 Lets go back to how this Youth Hunt began to take shape. Earlier in the week, I had been scouting this area checking to see if any big ducks had moved in with the cooler weather hitting the north. Although I did not find what I was looking for, I did scout about 100 teal using the small slough. The next day, I scouted again and the teal numbers were growing to an impressive amount. I just happened to send a short text message to all the boys over at Mallard Mafia Hitmen and Steve responded “Do you mind us having our youth hunt in your hole?” and my response was “Let’s do it!”. So the preparations began. I wanted to make sure this was a special hunt for these kids. I continued to scout this area everyday all the way up to Friday. The number of teal continued to rise almost 100 per day all week! At that point, I knew this was going to be a great hunt! After throwing some decoys, setting up cameras, and getting the kids settled, we sat patiently in the dark waiting on the rest of the group to arrive. Many things were going through my mind as we all sat there quietly. How am I going to make sure everyone is safe? Will the ducks still fly in all this fog? What values will I be teaching these kids today? As I think about all these things, Steve and the HitKids are struggling to find their way thru the fog as well. 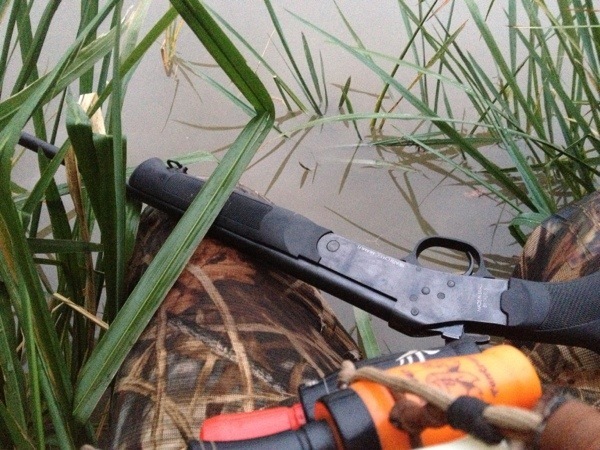 I hear the sound of a duck call come through the woods. I blow my call back and we finally see each others lights. Its on! As the rest of the kids get situated, Steve and I do some final adjustment on our spread. The first hint of daylight is peaking over the horizon, the kids scurry with excitement. We get them all sat down in their respective spots, keeping them all in line with each other the best we can on the bank of this slough as to protect any one from getting behind another while shooting. Steve stands out in front and gives a safety speech, all the kids listening intently. We help them all load their guns and get situated, giving each one of them an idea of the angles they are allowed to shoot while reminding them that safety always comes first even with the excitement of big flocks of ducks buzzing the spread. By this time we are 10 minutes into legal shooting light and the first ducks swing in for a look. The kids knock down a few Green Wing teal within the first 30 minutes of the hunt, 5 to be exact, and Cody made quick work retrieving all the downed birds. I felt it was very important for these kids to learn that we always exhaust all effort to find and recover downed game. The dog is important in the effort as well as the hunter actually going out and combing the area for downed birds. 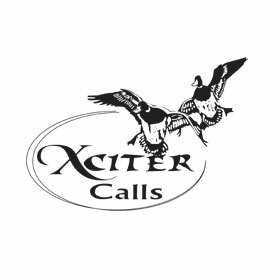 Sometimes in the heat of the moment, a group of hunters can take down 5 or 6 birds out of one flock and lose track of those downed birds. This is why, during the slow part of the morning, the mentors would take the dog out again and comb the slough for downed birds and sure enough we found one. My boy Aidan was having a great time helping run the dog and counting the birds for us. Even though he was not toting a gun today, he was still an important part of the hunt. During this slow part of the morning, I broke out the portable stove that Steve had brought along, pulled over the cooler and cooked a nice, healthy breakfast for these kids. We started off with a toasted bagel, egg, sausage and cheese sandwich followed by a grilled hashbrown and some orange juice. I love cooking during the hunts but it never fails, just as soon as the frying pan started popping with a fried egg, the birds start flying again. This is when the action got hot! We had flocks of 20 – 30 teal at a time cruising down the wide end of the slough back into the flooded grass mats we patrolled. Even though the kids had trouble swinging fast enough to keep up with these feathery jet planes, they knocked down a few out of each flock and very quickly the pile grew to 19 birds. Again, my boy Aidan kept the count right and we decided that it was time to pack up. After a little photo session for the memory book, everything was packed up nicely the way it came in. We had each kid help clean the area including ALL shell casings. We started our long trek back to the trucks, each kid happily carrying gear and birds with proud smiles on their face. It was a successful hunt in my books at that point. The smiles on those kid’s faces told the whole story for the morning. It was a successful hunt but more importantly than bagging game, these kids had a great time and learned many valuable lessons that will stick with them for years to come. I hope each and everyone of them will join us at different times during the season to expand on what they learned and enjoy the outdoors as much as possible. I hope all of you reading this will join me in my quest to get youth outdoors, no matter if its hunting, fishing, camping, hiking, whatever it takes to get kids outside and enjoy what Mother Nature has given us all. If you are on Twitter, give me a follow @JoshDickerson7 and continue looking for updates with the hashtag #YouthOutdoors. With the joint effort of Angi from GooseMafia (@GooseMafia on Twitter) and me, Rooney of First Light Gear, there will be a new youth movement sweeping across the country in the coming years. It will take the effort of all of you to use this tool that we will provide to get Youth Outdoors!! !